It is no secret that the Flyers are shopping for one more proven forward before the 2009-10 season. But what that piece will be is still to be determined. The debate rages as to what position the Flyers need to fill more, face off specialist or scoring winger. Depending on projected line combinations, an argument can be made for both. And according to Director of Player Development Don Luce, the team is simply looking for the best player available. Philly has been rumored to be interested in wingers Todd Bertuzzi and Brendan Shanahan, and potentially interested in centers Chris Gratton and Mike Sillinger. 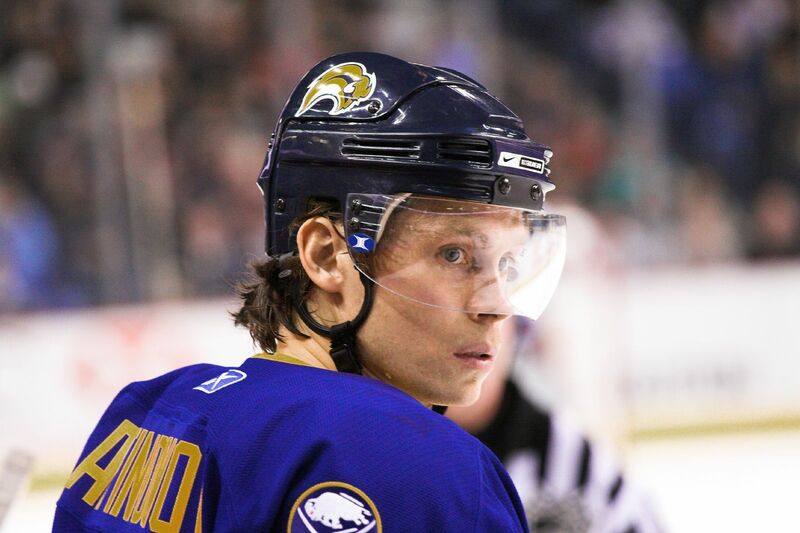 But one name that has gotten overlooked is former Sabres’ winger, Maxim Afinogenov. Luce was once the Director of Player Development for Buffalo, and on his transition to Philly, brought along Danny Briere and Marty Biron. Afinogenov is coming off back-to-back down seasons, in which he only had 16 goals and 22 assists in 104 games. At the height of his career, Maxim was a 25-30 goal scorer, including his years playing alongside Briere. But because the 29-year old Russian right-winger has seen better days, he may be willing to take a one-year deal around $1 million, to prove himself and earn a bigger contract. When asked about Afinogenov, Luce perked up. The Flyers may just be playing the waiting game with agents, who are trying to get the most for their clients, before retreating to a likely lower Flyers’ offer. If that is the case, don’t expect a signing until some more domino’s start falling in free agency.